I&apos;m relatively new to cruise travel -- prior to this one, I&apos;d completed two cruises, both on another cruise line. I booked this primarily due to the itinerary -- it included both Alaska and the Panama Canal -- and the cost. The cruise was actually two separate cruise: a 10-day Alaska trip from Vancouver to San Francisco; and an 18-day cruise from San Franciso to Miami via the Panama Canal. As such, it mixed cool and warm climates which made packing ... interesting. As a solo traveler, I always have to factor in the "single supplement" which for most cruise lines is 100%. Regent Seven Seas seems to be bucking that trend: so far, all the cruises I&apos;ve booked have been less than half that (42-45%). This makes Regent Seven Seas much more competitive with more "mainstream" cruise lines for solo travelers. Add the fact that the fare is all-inclusive: drinks (including alcohol), excursions, gratuities, and specialty dining -- things that a lot of cruise lines charge extra for, and the comparison is even more favorable for Regent. The Mariner hosts 700 guests, so it classifies as a "smaller" ship. This makes the ship easier to get around for those of us with some physical challenges. In my case, I have advanced COPD which makes walking long distances particularly problematic. As long as I take my time and walk slowly, I&apos;m OK. Since the ship is smaller, this means getting around the ship is much easier. 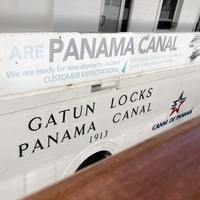 My cabin was near the aft elevators; most of the ship&apos;s guest services, boutiques, etc. are nearer the bow, which meant walking almost the length of the ship at least once a day. I was able to do this with minimal discomfort which allowed me to enjoy more of the ship&apos;s features. SUITE: Every cabin on the Mariner is a suite with a veranda. I booked a Concierge suite -- one of the smaller suites on par with Holland America&apos;s "Vista" suite -- about 300 sq feet including the veranda. It was a great size for a single person: HUGE walk-in closet; decent bathroom size, comfortable furnishings, mini-fridge stocked and replenished as needed at no additional charge. “On-demand” movies in various genres (about 200 or so, total) available via the interactive television system, which also includes dining menus, daily activity video from the Cruise Director, and the usual set of “Enrichment” and “Destination” videos from onboard lectures. Super comfortable bed and pillows. FOOD: 5-star all the way! Far exceeded my expectations. The expansive "always available" in the Compass Rose (the main dining room) guaranteed a totally yummy dining experience every day without getting bored. In addition to the "always available" selections, there are daily specials which provide additional 3-4 choices in each course. The food is exquisitely presented and absolutely delicious. Portion sizes are reasonable. I visited La Veranda fairly regularly for breakfast and occasionally for lunch. The choices were amazing -- way more than I could possibly explore on a 28-day cruise. The omelets are especially yummy and made to order with whole eggs (unless you order an eggwhite omelet). Lunch selections vary every day although there are a number of things that are always available. Again, beautifully presented and super delicious. Chartreuse is RSSC&apos;s "French with a twist" with a set menu -- no daily variations. The food is superb, again beautifully presented and prepared. I ate here three times. Prime 7 is the upscale steakhouse -- I ate here twice and found it excellent, but honestly not much better than Compass Rose. Sette Mari is the Italian restaurant that features more sophisticated dishes. Again, excellent! ENTERTAINMENT: I&apos;m not usually a "shows" person -- I tend to hit the sack kind of early most nights -- but I did attend several shows since it was so convenient (located not far from Compass Rose and Prime 7). The entertainment staff is superb -- 12 singers/dancers who are extraordinarily talented. Their ABBA tribute during the "variety" show was outstanding, and "Blazing Boots" was a country music hit (and I&apos;m not even a country music fan, but it was so well done!). John Barron, the Cruise Director, did one-man shows twice, and his show is definitely worth seeing. And the Constellation Theater is beautiful -- comfortable seating, great sight lines, etc. EXCURSIONS: I don&apos;t pre-book excursions mostly because there just isn&apos;t enough information in the descriptions for me to make an informed decision about whether or not I can actually physically handle it. As mentioned before, I have to be careful with walking long distances. I don&apos;t want to put myself in a position where I might end up delaying other people due to my having to walk slowly. Add to that a very bad knee (waiting for a knee replacement), which makes things like staris and getting on/off tenders particularly tricky, and it just doesn&apos;t make sense for me to book an excursion only to have to skip it due to physical challenges. I can&apos;t know until I reach the port what those challenges might be. I&apos;m OK with not being able to take many excursions as I find the onboard experience just as important. I&apos;m perfectly content sitting on my veranda, sipping a glass of good red wine, and taking photos of everything I see that is interesting. SERVICE: Again, exceptional. My two room stewards were amazing, making sure I had everything I needed to stay comfortable and happy. The real test of customer service is how they respond when a problem arises. Four days into my cruise, I broke a tooth -- a lateral incisor, with a near-complete fracture. No warning -- it happened in the dining room after biting into one of their amazingly delicious crusty dinner rolls. Just one of those fluke things. I ended up visiting the medical office -- no dentist on staff, and we were just leaving Juneau on a Saturday night. The ship contacted the Sitka port rep (our next port stop), who was able to get me an appointment at e local dentist&apos;s office on Monday. Regent provided transportation to/from the dentist&apos;s office, and the only charges I incurred were the dentist&apos;s bill; RSSC did not charge me anything for their efforts on my behalf. Blew me away! This tells me that they really do put their customers first and will do whatever they can to ensure a comfortable and enjoyable experience. 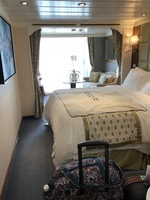 The bottom line: I enjoyed this so much and was so impressed by Regent&apos;s commitment to guest experience that by day 11, I was ready to book another Regent Seven Seas cruise: the 2020 "Navigate the World" -- the 131-day world cruise. It&apos;s on the Mariner and I was able to book the same cabin I occupied for this cruise. Given the service, the food, the entertainment, the itinerary, and the price, it&apos;s the best choice for me. I&apos;m relatively new to cruise travel -- prior to this one, I&apos;d completed two cruises, both on another cruise line. I booked this primarily due to the itinerary -- it included both Alaska and the Panama Canal -- and the cost. The cruise was actually two separate cruise: a 10-day Alaska trip from Vancouver to San Francisco; and an 18-day cruise from San Franciso to Miami via the Panama Canal. As such, it mixed cool and warm climates which made packing ... interesting. As a solo traveler, I always have to factor in the "single supplement" which for most cruise lines is 100%. Regent Seven Seas seems to be bucking that trend: so far, all the cruises I&apos;ve booked have been less than half that (42-45%). This makes Regent Seven Seas much more competitive with more "mainstream" cruise lines for solo travelers. Add the fact that the fare is all-inclusive: drinks (including alcohol), excursions, gratuities, and specialty dining -- things that a lot of cruise lines charge extra for, and the comparison is even more favorable for Regent. The Mariner hosts 700 guests, so it classifies as a "smaller" ship. This makes the ship easier to get around for those of us with some physical challenges. In my case, I have advanced COPD which makes walking long distances particularly problematic. As long as I take my time and walk slowly, I&apos;m OK. Since the ship is smaller, this means getting around the ship is much easier. My cabin was near the aft elevators; most of the ship&apos;s guest services, boutiques, etc. are nearer the bow, which meant walking almost the length of the ship at least once a day. I was able to do this with minimal discomfort which allowed me to enjoy more of the ship&apos;s features. SUITE: Every cabin on the Mariner is a suite with a veranda. I booked a Concierge suite -- one of the smaller suites on par with Holland America&apos;s "Vista" suite -- about 300 sq feet including the veranda. It was a great size for a single person: HUGE walk-in closet; decent bathroom size, comfortable furnishings, mini-fridge stocked and replenished as needed at no additional charge. “On-demand” movies in various genres (about 200 or so, total) available via the interactive television system, which also includes dining menus, daily activity video from the Cruise Director, and the usual set of “Enrichment” and “Destination” videos from onboard lectures. Super comfortable bed and pillows. FOOD: 5-star all the way! Far exceeded my expectations. The expansive "always available" in the Compass Rose (the main dining room) guaranteed a totally yummy dining experience every day without getting bored. In addition to the "always available" selections, there are daily specials which provide additional 3-4 choices in each course. The food is exquisitely presented and absolutely delicious. Portion sizes are reasonable. I visited La Veranda fairly regularly for breakfast and occasionally for lunch. The choices were amazing -- way more than I could possibly explore on a 28-day cruise. The omelets are especially yummy and made to order with whole eggs (unless you order an eggwhite omelet). Lunch selections vary every day although there are a number of things that are always available. Again, beautifully presented and super delicious. Chartreuse is RSSC&apos;s "French with a twist" with a set menu -- no daily variations. The food is superb, again beautifully presented and prepared. I ate here three times. Prime 7 is the upscale steakhouse -- I ate here twice and found it excellent, but honestly not much better than Compass Rose. Sette Mari is the Italian restaurant that features more sophisticated dishes. Again, excellent! ENTERTAINMENT: I&apos;m not usually a "shows" person -- I tend to hit the sack kind of early most nights -- but I did attend several shows since it was so convenient (located not far from Compass Rose and Prime 7). The entertainment staff is superb -- 12 singers/dancers who are extraordinarily talented. Their ABBA tribute during the "variety" show was outstanding, and "Blazing Boots" was a country music hit (and I&apos;m not even a country music fan, but it was so well done!). John Barron, the Cruise Director, did one-man shows twice, and his show is definitely worth seeing. And the Constellation Theater is beautiful -- comfortable seating, great sight lines, etc. EXCURSIONS: I don&apos;t pre-book excursions mostly because there just isn&apos;t enough information in the descriptions for me to make an informed decision about whether or not I can actually physically handle it. As mentioned before, I have to be careful with walking long distances. I don&apos;t want to put myself in a position where I might end up delaying other people due to my having to walk slowly. Add to that a very bad knee (waiting for a knee replacement), which makes things like staris and getting on/off tenders particularly tricky, and it just doesn&apos;t make sense for me to book an excursion only to have to skip it due to physical challenges. I can&apos;t know until I reach the port what those challenges might be. I&apos;m OK with not being able to take many excursions as I find the onboard experience just as important. I&apos;m perfectly content sitting on my veranda, sipping a glass of good red wine, and taking photos of everything I see that is interesting. SERVICE: Again, exceptional. My two room stewards were amazing, making sure I had everything I needed to stay comfortable and happy. The real test of customer service is how they respond when a problem arises. Four days into my cruise, I broke a tooth -- a lateral incisor, with a near-complete fracture. No warning -- it happened in the dining room after biting into one of their amazingly delicious crusty dinner rolls. Just one of those fluke things. I ended up visiting the medical office -- no dentist on staff, and we were just leaving Juneau on a Saturday night. The ship contacted the Sitka port rep (our next port stop), who was able to get me an appointment at e local dentist&apos;s office on Monday. Regent provided transportation to/from the dentist&apos;s office, and the only charges I incurred were the dentist&apos;s bill; RSSC did not charge me anything for their efforts on my behalf. Blew me away! This tells me that they really do put their customers first and will do whatever they can to ensure a comfortable and enjoyable experience. The bottom line: I enjoyed this so much and was so impressed by Regent&apos;s commitment to guest experience that by day 11, I was ready to book another Regent Seven Seas cruise: the 2020 "Navigate the World" -- the 131-day world cruise. It&apos;s on the Mariner and I was able to book the same cabin I occupied for this cruise. Given the service, the food, the entertainment, the itinerary, and the price, it&apos;s the best choice for me. Suite 972 is very close to the aft elevators on the port side of the ship. Every cabin on the Mariner is a suite with a veranda. I booked a Concierge suite -- one of the smaller suites on par with Holland America&apos;s "Vista" suite -- about 300 sq feet including the veranda. It was a great size for a single person: HUGE walk-in closet; decent bathroom size, comfortable furnishings, mini-fridge stocked and replenished as needed at no additional charge. “On-demand” movies in various genres (about 200 or so, total) available via the interactive television system, which also includes dining menus, daily activity video from the Cruise Director, and the usual set of “Enrichment” and “Destination” videos from onboard lectures. Super comfortable bed and pillows.